Today marks the 27th Anniversary of International World AIDS Day, a day when countries the World over stand together in solidarity, and reflect on the progress made in the fight against HIV and its impact on individuals, families and communities. It also is time to honor and commemorate those who lost their lives and have succumbed to HIV and its related complications. To celebrate this important day, we met on Thursday 26th November at HOPE HOUSE, in Manzini, where Caritas Swaziland implements a project to support HIV/AIDS patients in a quiet and familiar place, serving as an hospice facility. Many people joined us, including Bishop Josè Luis Ponce de Leon, local and national authorities, staff members, patients with their caregivers and families, and a representation of students from the local schools that amused us with songs, dances and performances. 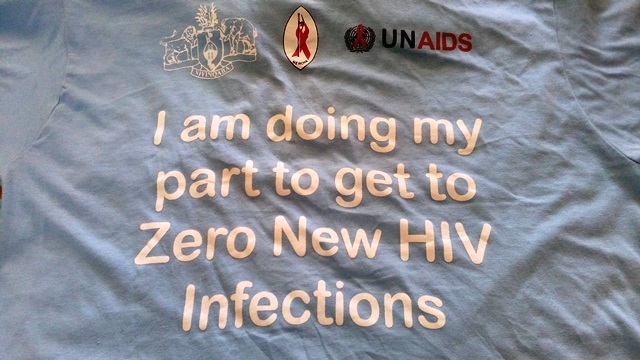 As the 2014 UNAIDS Report highlights, in Swaziland the number of people living with HIV/AIDS reaches 210,000 of people affected. The introduction of Antiretroviral Therapy (ART) has made HIV a manageable chronic illness, but, for treatment to be successful, adherence to medication is essential. In Swaziland, traditional family structures have been ravaged by the HIV epidemic, and the number of Orphans and Vulnerable Children (OVC) due to this illness is still increasing. Therefore, the big challenge is to talk and work on prevention, transmission from mother to child, and discrimination. It is fundamental supporting patients with adequate food for treatments, and we learnt from the past the importance to involve the community, especially for the psychological support. In this special occasion, someone reminded us the words of Saint Pope John Paul II speaking to a group of Health workers and People Living with HIV and AIDS at the Vatican City in Rome, Italy: “Dear brothers and sisters sick with AIDS, don’t feel alone because you are not alone, the Church is near you with love and supports you in your difficult path. She will never abandon you nor forsake you”. 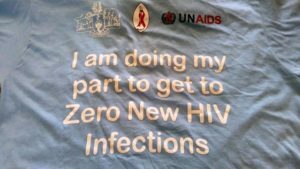 From different people we received the message about the importance to be not alone fighting HIV/AIDS and related illness. Our Bishop Josè Luis highlighted that “it is better to light a single candle than to curse the darkness”. This is what we can do for HIV/AIDS patients and their families: to be a light in the dark of illness, supporting them as best we can, depending on our different attitudes and opportunities.